The Pet Care Foundation was founded as a non-profit organization by Paula Kent Meehan in June of 2003. Its primary mission when founded was to create a Beverly Hills Animal Shelter that would be managed by the City of Beverly Hills. Paula was horrified to find that when she called the City of Beverly Hills to ascertain what to do with a mama dog and puppy that she found on the street, no one there knew. She later found that the City contracted with the County of Los Angeles for animal services the nearest County shelter being in Carson over an hour away. Paula worked vigorously for two years going to many BH City Council meetings, and organizing citizens to try to make the BH Animal Shelter a reality. In December of 2004 she hired Bill Crowe as the Director of the Foundation. While he began research on how to make the shelter happen, he began creating pet adoption events within the City of Beverly Hills at the Farmers’ Market, Roxbury Park and La Cienega Park bringing in animals from the Carson Shelter LA County Shelter where the City of Beverly Hills had their contract for animal services. After many meetings, phone calls and a lot of research, Bill discovered that the City of Beverly Hills only had an average of 33 animal calls on average per year – not enough to warrant a municipal shelter. After that realization, Paula and Bill decided to try for a contract with the City of Los Angeles because they were in the process of building a new, very close by, West LA Animal Shelter – something the City of LA had never done. Meanwhile, the pet adoption events were growing substantially. Also created was the ADOPT A PET TODAY TV show. For the first 5 years the show was filmed at Beverly Hills High School by the media teacher, Dusty Stiles. Dusty then retired and the TV show continues on now filming at the LA Shelters. It airs every weekday at 12:30 PM on the LA City Channel 35 and randomly on the BH City Channel – it has a 90% adoption rate. Bill and Paula began going to the LA Animal Commission meetings to try to get the contract with the new WLA Shelter. After four years (2009) of writing copious letters, going to several LA City Council Meetings, Public Safety Meetings and Budget Committee Meetings as well as BH City Council Meetings, the contract with WLA came to fruition, and is still in place. Citizens no longer had to drive to Carson to look for their lost pets or wait a few hours for an animal officer to come when they saw a stray. Also in 2009, Paula and Bill noticed that the photos of the animals on the shelters’ websites were not good. They decided to create the LA Animals Services Employee Photo Contest as incentive for the staff to take better photos. An awards luncheon is given at the winning shelter, as well as trophies and a small honorarium. Photos of the animals are now greatly improved thus creating a higher adoption rate. In 2010, Bill began producing the adoption events within the LA Shelters themselves. This greatly increased the number of pets being adopted. Today there are ten adoption events per year in the shelters and one in Roxbury Park. They are My Furry Valentine, Woofstock, Spring ‘Em, Catapalooza 1 & 2, Chi-Pitty-Kitty, My Buddy, The Fur is Flying, Basic Black and Whisker Wonderland. These events are costly so fundraising is very important to keep them going and the euthanasia rate lowering. 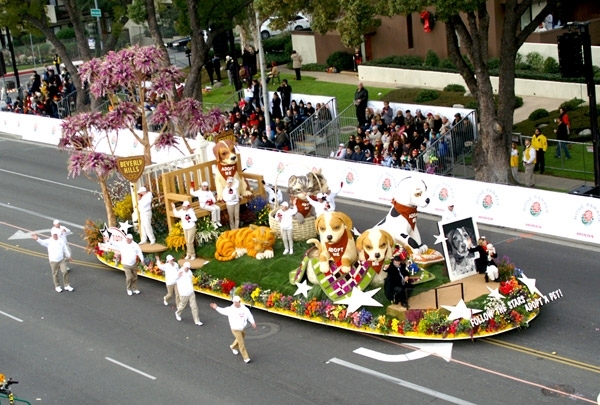 In 2012 and 2013, PCF produced two Rose Bowl Parade Floats to encourage Adopt vs Buy to 150 Million Viewers World Wide. The 2012 float won the award for Most Beautiful Non-Commercial Float. 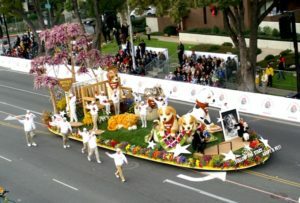 The 2013 float had celebrities Crystal Hefner and Brandon McMillian on it. In 2013, Paula suggested her daughter-in-law, Fabi Lydon, who is a professional dog groomer, go to the shelters on her day off and groom dogs. Fabi and Bill began by going to the East Valley Shelter. 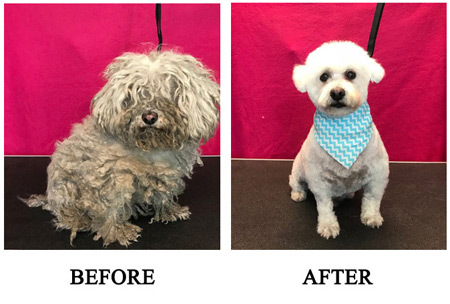 The before and after photos of the dogs they groomed were so dramatic that they inspired Paula to create a grooming program that happened every day at all the shelters. Today PCF has two full time groomers and one groomer’s assistant, and the program has an 82% adoption rate. Paula passed away in June of 2014. Her work continues on saving animals as she wished, and it will in perpetuity. Marcia is the President and Publisher of Beverly Hills Courier, LLC. 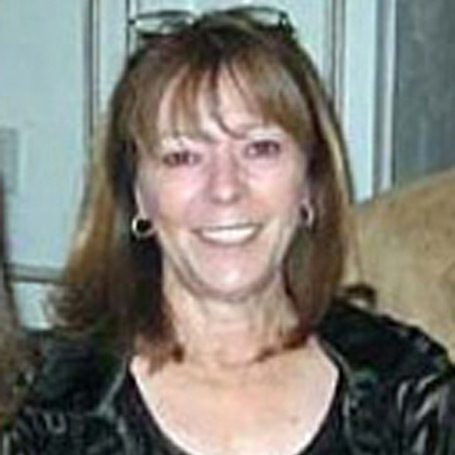 Marcia started her career at the Greater Los Angeles Zoo Association where she served first as a Board Member, and then as President. During her 11 year tenure, she doubled the membership, focusing on important conservation projects and major international animal exchanges. She spent six years on efforts to save the California condor, whose population had dropped to 18 in the wild and one in captivity at the L.A. Zoo. Now, because of the implementation of that major conservation program, the population is over 200 in captivity and the wild. In the early 1970’s, Marcia made the first of her 41 trips to China, where she was able to leverage relationships to bring a pair of giant pandas to the L.A. Zoo in 1984. In fact, the Chinese Olympic team, playing in their first Olympics, went directly to the L.A. Zoo after arriving at LAX in August 1984 to join Marcia and Mayor Tom Bradley to open the new Giant Panda Exhibit. Marcia also spearheaded conservation projects for Argali sheep, Komodo dragons, and Sumatran rhino. In 1987, Marcia left the L.A. Zoo to become a consultant to the Brunei Investment Agency and a marketing and strategic planning consultant with clients that included: Smithsonian Institution, Ferrari North America, Salvatore Ferragamo, Alfred Dunhill, Inc., Buccellati, Inc. and the Los Angeles County Museum of Art. In 1996, Marcia joined Christie’s Auction as Chair of the West Coast and served until her cancer surgeries caused a halt to her business career in 2002. In 2006, she joined The Beverly Hills Courier as Associate Publisher, and later became Publisher in 2014. 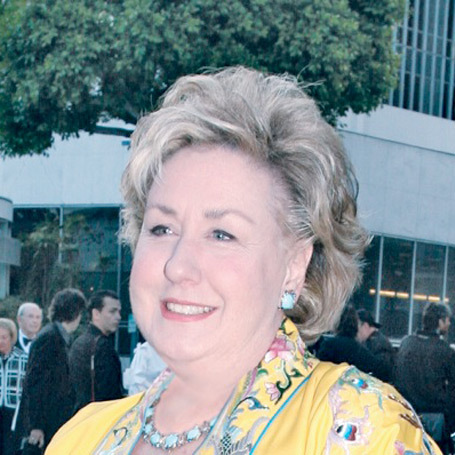 Former Board affiliations include L.A. Cathedral Campaign, Beverly Hills Chamber of Commerce, California Tourism Commission, National Petroleum Corporation, State of California Parks and Recreation Commission (longest serving commissioner, 19 years), Huntington Library and Gardens, Loyola Marymount University Board of Regents, and other political appointments. Wendy has worked for Pet Care Foundation’s Founder, Paula Kent Meehan, for 30 years, and served on the Board of the Pet Care Foundation since its inception handling the administrative functions. She has 4 fur children (3 K9 and 1 feline). Hillary is a graduate from Pepperdine University with a Bachelor of Arts Degree in Public Relations. Hillary has been volunteering with The Pet Care Foundation since February of 2014. She handles all of the social media management for the Foundation on its Twitter, Facebook and Instagram pages. Hillary has loved animals her entire life and will spend the rest of her life dedicating her extra time to helping animals in need. 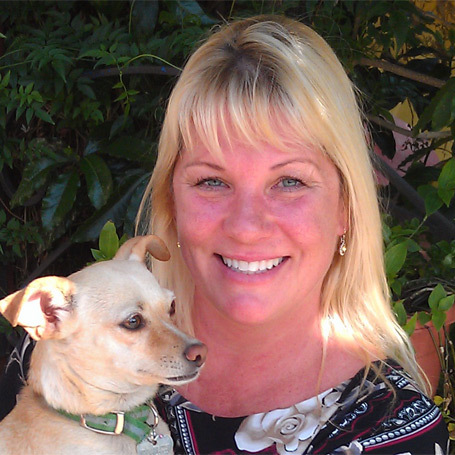 Heidi Huebner lives in Los Angeles, CA and is currently the Director of the VIP and PUP program (Pets Unstressing Passengers) at Los Angeles World Airports. 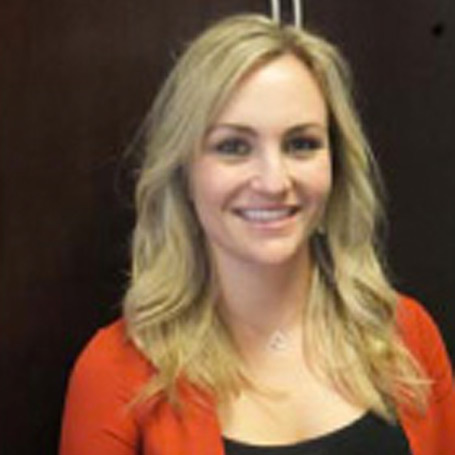 She holds a degree in Communications from Chapman University. 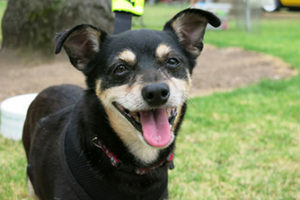 Heidi has been involved with many organizations helping animals and educating the public. She was the Director of Volunteer Programs for Los Angeles Animals Services for 4 years. She was also the Founder and Executive Director of KidsnPets a non-profit raising awareness thru education and outreach as well as being involved with many animal rescue groups in the LA area. She is the loving guardian of Sparkles and Smokie (cats), Chance and Sadie (dogs). Cheri Shankar got her start in the animal protection movement in 2002 as a volunteer for Cat Connection and she still walks dogs and feeds neonate kittens at the shelter every week. She has rescued, fostered and re-homed hundreds of cats, dogs, kittens and puppies. 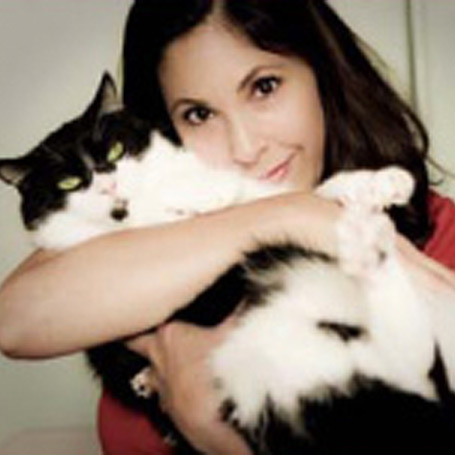 She has TNR’d countless cats and kittens and supports dozens of Los Angeles based rescue groups. She has raised hundreds of thousands of dollars to support myriad animal protection causes. Cheri was a tireless campaigner for California’s historic farm animal protection measure, Proposition 2. She has supported legislation to protect dairy cows, sharks, bears, and bobcats from cruelty. Her latest successful efforts banning the abuse of elephants with bullhooks in Los Angeles and Oakland precipitated Ringling’s recent announcement to retire elephants from their circuses by 2018 and prompted legislation to protect elephants statewide. She continues to advocate for all animals at the local, state and federal level. Brian was a personal acquaintance of Paula Kent Meehan, so when Paula formed the original Advisory Committee, she asked Brian to join. Since that time up to today, Brian has remained active in the Pet Care Foundation, knowing personally, what Paula envisioned for a world that valued pets like people are valued. He continues to serve on the Board for the Pet Care Foundation. Co-founder and part of original group who created the memorial plaques on Santa Monica Blvd in West Hollywood honoring those who died from AIDS related causes and selected the benefactor, AID for AIDS and turned project over to AID for AIDS. Host committee for multi-day fundraising event with proceeds allocated to various AIDS related charities. Helped raise $450,000 for the event annually. Created an annual holiday party for the Children of the Intensive Care Unit at UCLA involving community businesses and volunteers so that the in-patient children could have a holiday, with Santa, presents and song. Served in various capacities from initial installation of computer in fundraising office and original software; to working on various committees in the production of the annual Thalians Ball. 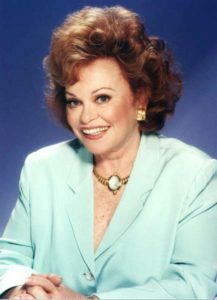 Under the direction of Board Chairwoman emeritus, Ms. Ruta Lee and President emeritus, Ms. Debbie Reynolds, he currently serves as an Executive Board Member. Became a member after a close friend who volunteered for Trevor, committed suicide. Created the Trevor Summer Splash events, with a co-host committee, continued this event from a $10k per event to a $30k per event and turned it over to Trevor in 2010 and the parties continue annually. Awarded Outstanding Volunteer in 2004 by Trevor. Serve as volunteer co-chair for this event; which in 2012 raised $1.6 million. Responsible for the recruitment and direction of some 350+ volunteers who work in various roles over a 23 hour period for this event. Started in 2008 as a walker and achieved top individual fundraiser for 2008 with over $8,000 in private donations and sponsorships achieved. Continue to participate in the annual walk a thon. My first year for this ride, I joined two weeks before the ride and was awarded the Top Individual Fundraiser 2012 with over $4,700 raised. In 2010, the first year for supporting Multiple Sclerosis through its Coastal Challenge multiple day Bicycle Challenge. Honored as #37 of “Top 100” fundraisers out of 1,200 riders in 2012 raising $3,800 and year over year, moved up the ladder to 2015 being Top Personal Fundraiser #3 of 1,300 riders raising over $17,000; and $45,000 since starting In 2018, Brian achieved #1 Top Personal Fundraiser prestigious award with over $19,000 raised in the year and an 8 year grand total exceeding $90,000 and over 2,000 miles pedaled. 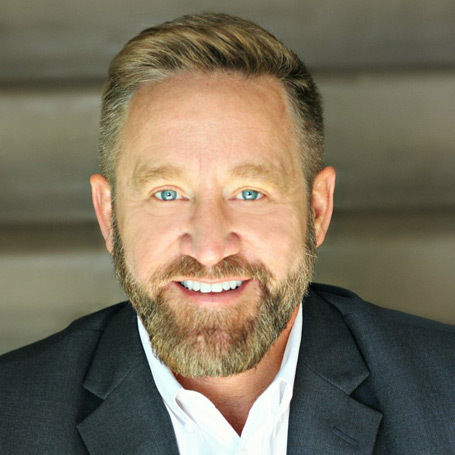 Bill is proud to serve the Los Angeles area as the executive director of the Pet Care Foundation. Bill’s love of animals stretches far back to his childhood having been raised with many pets through the years. 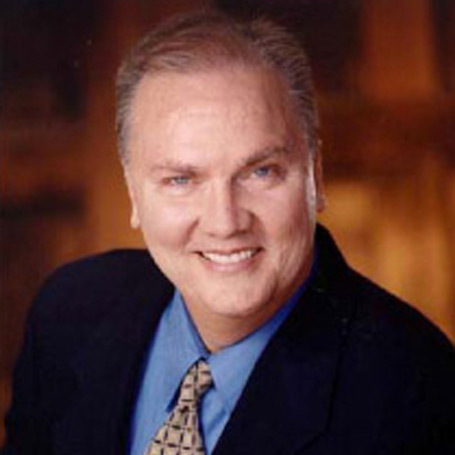 Graduating from Auburn University, Bill began his career as a teacher and writer. He transitioned into the non-profit arena in the mid-80s speared on from volunteering for many AIDS organizations. Soon, he was running organizations like Project Angel Food. When he met Paula Kent Meehan, Founder of the Pet Care Foundation, he knew he had found a home where he could save animals creatively, and return to his childhood love of animals.